Hey guys! Today I have another indie maker to share with you, called Two Birds One Store. This is a shop run by sisters Sarah and Sandy. They have a large variety of colors and collections available in their shop. Their polishes are all 3-free and use stainless steel mixing balls. 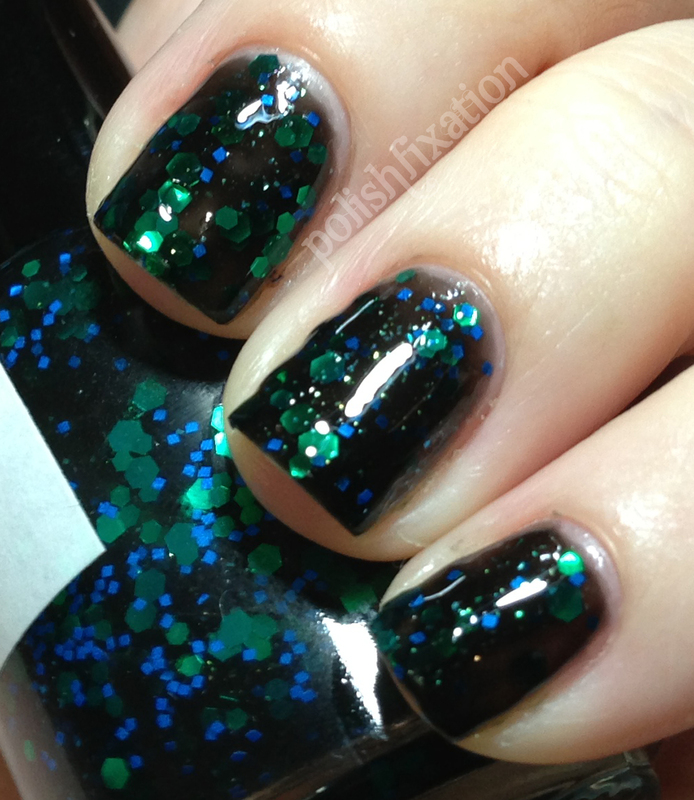 Vel-awesome-raptor is " Small neon green glitter with an accent of black glitter. This is a "floam" type matte glitter polish which I chose to layer over a bright green. I love polishes like these and think they look really fun. This was easy to apply and looks awesome! Who Ya Gonna Call? "is a light gray base with varying sizes and shapes of white, black, and blue matte glitters, with white shimmer throughout!" I was very excited by this polish because I love Ghostbusters, and the colors of this polish look great together. I had a little trouble applying it but if you do it slowly and carefully it's worth the extra care in application. I first tried it on its own but ultimately layered it over a similar gray polish which made it significantly easier to wear. Shine by Night is "black jelly base with chunky green shimmer, matte blue squares, and emerald green hexes, both small and large." I adore jelly based polishes that don't need to be layered over anything. I did 2 coats of this on its own and love the result. These colors also go together so well! I love the look of this polish, and it was simple to apply. Overall, I really like these polishes I've tried by Two Birds One Store. Their collections are really unique and creative. I can't wait to see what they come out with for future endeavors. 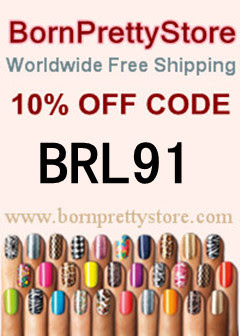 Each full size polish is $8.00 and each mini is $4.00. What do you think of these? Which one is your favorite?